I posted this originally on June 16, 2011. Needing to remind myself of her wisdom, I thought you might want to (re)read her words and appreciate her wisdom too. The Ordinary Mind School was among the first Zen communities to consciously engage the emotional life and the shadows of the human mind as Zen practice. 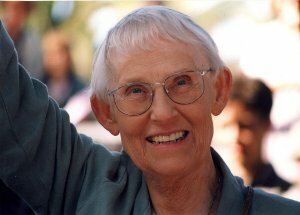 The late Charlotte Joko Beck and her dharma heirs adapted elements of the vipassana tradition — a relentless inquiry into the contours of the human mind — as unambiguous Zen discipline. So a relationship is a great gift, not because it makes us happy — it often doesn’t — but because any intimate relationship, if we view it as practice, is the clearest mirror we can find. This New York Times article presents research that suggests that what happens right after a traumatic event may be just as important as the trauma in determining how a traumatized person fares. This may seem like common sense, but the world surely can use more of it. Here’s the link: A New Focus on the ‘Post’ in Post-Traumatic Stress. And I really dislike the paywall where you can only see so many NYT articles per month for free. It’s early in the month, and I hope you can read it if you’re interested. One of the damaging things that happened a day or two after my childhood trauma was telling an adult that I wanted to go home and being told I needed to stay where I was. It wasn’t even that I wanted to literally go home. I can see now that I wanted reassurance that things would be or even could be okay again. I wanted the comfort of my mother’s presence. That’s what home meant then. And at age 11, I just didn’t have the right words to communicate what I needed so badly. Was that the moment that trauma became PTSD? I don’t know. Part of my recovery (after the big chunks were in place) was having a series of dreams for a couple of years in which I was trying to get home and couldn’t. I’d find myself stranded and making the best of it in some town miles away from Austin, but always looking out for a way to get home. Then I finally had a dream in which I was at home, and it was a home I didn’t recognize, but it was my home. At both ages, home was a metaphor for living in my body and feeling safe. A note: The work of Dr. Peter A Levine spells out how important it is for a person to connect with and be tended to by a kind, calm person after a traumatic event. He recognizes that “the human connection” is critical in preventing PTSD after a trauma — in his book In An Unspoken Voice, he describes his own trauma and recovery in detail, including a bystander who offered a steady, reassuring presence. He is one of the most renowned trauma researchers and writers in the world. It seems like an oversight to me for his work to go unmentioned in this article. This article, 12 Things Happy People Do Differently, lists things you can start doing today to experience more happiness in your life. 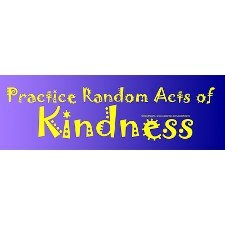 I also liked what it said about how just watching kindness in action increases serotonin in those witnessing it as well as in the person performing the kind act. By being kind, not only do you feel better, it’s contagious! Thanks to friend Shelley Seale for posting this link on Twitter. During a lecture while I was interpreting for the Dalai Lama, he said in what seemed to me to be broken English, “Kindness is society.” I wasn’t smart enough to think he was saying kindness is society. I thought he meant kindness is important to society; kindness is vital to society; but he was saying that kindness is so important that we cannot have society without it. Society is impossible without it. Thus, kindness IS society; society IS kindness. Without concern for other people it’s impossible to have society. Do something kind for another person today. Generosity, root vegetables, and an offer on my house! Today is the fifth day of my 21-day gratitude challenge. It’s still raining! I mentioned my gratitude for that yesterday. Another day of rain in January translates to more wildflowers in April in Central Texas. Plus, with the summers we have here, variety is welcome! Here’s what else I’m especially grateful for today. Today I’m feeling especially grateful for the generosity of friends and strangers. Since my car has been disabled since Christmas eve (but ready tomorrow — yay! ), my friend Thomas has twice let me use his car while he was traveling. I have appreciated that, and his friendship, very much. The car loan has helped me out tremendously, since I didn’t have rental coverage on my insurance (do now! ), and he hasn’t had to pay for long-term parking. I’ve picked him up and dropped him off at the airport (with my daughter filling in once when I had a yoga workshop), returning his car with a full tank of gas. Thank you, Thomas! I also appreciate my friends letting me bounce my ideas about creating my right livelihood off them, supporting me and sharing information about possibilities for training and people they know who have an inside scoop. I’m mulling over a lot now, and I recognize that my friends have a lot of resources, wisdom, and connections to share. This last anecdote falls into the category of random acts of kindness, a form of generosity. Who isn’t grateful for those? My friend Victoria shared a story about how she (currently carless) accidentally left her bag with the extra layer of clothes needed to wait at bus stops in January at her workplace, and how a woman waiting behind her in line at a coffee shop offered to drive her back there to get her bag. The woman refused any compensation, as she had had the experience being a carless bus rider herself. Victoria felt supported by the Universe and appreciated having that extra layer of clothes as she went about her day. I just made a big ol’ pot of borscht, with parsnips, carrots, red-skin potatoes, and most of all, beets, among the ingredients. Red beets and orange beets and sliced beet greens. Beets and rainy winter days go together really well. The jewel-like color of borscht made with lots of beets is a warming, heart-opening color to nourish you during these days of low gray clouds and cold dampness. 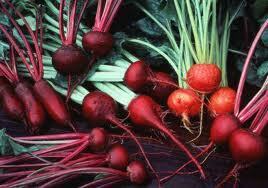 Beets have an earthy taste like no other vegetable I can think of. If you need grounding, eat beets. I got an offer on my house yesterday, and this time it was in the ballpark! Yay! I’m feeling very grateful. It’s been six weeks since it was first listed, and to tell the truth, it’s been a tiny bit nerve-wracking. It’s not the best time of year to sell. So I am grateful that a prospective buyer and his realtor are taking my listing seriously enough to make an offer. I met with my wonderful realtor/neighbor today, and we made a counteroffer. This could go back and forth several times, and it could also fall apart, with one or the other of us walking away. I’m asking what I want, having already come down once, because if you don’t, guess what? You won’t get it! She’s letting another couple of very interested prospective buyers know that I’m currently negotiating, so if they want to make offers, now is a good time!